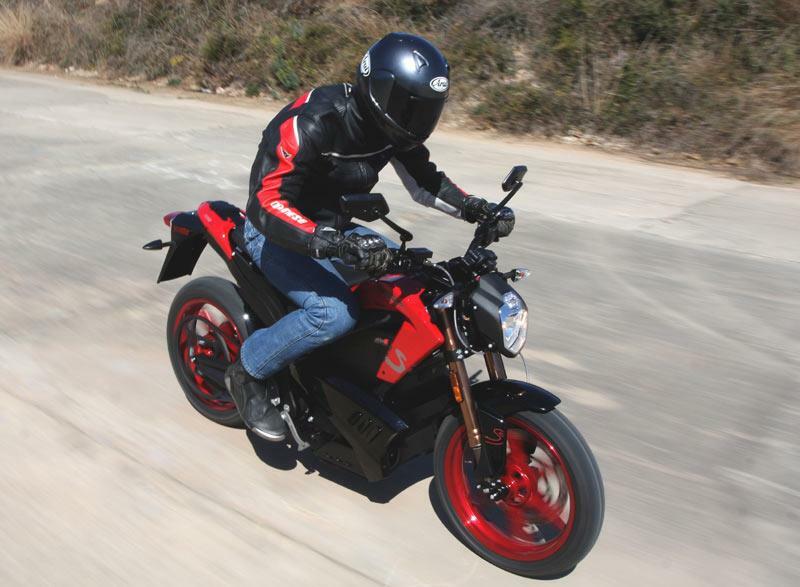 Zero’s latest S-model roadster is not just the best electric motorcycle yet to go on sale, it’s proof that battery-powered bikes could be a force in the near future. The comprehensively revamped Californian bike is good for 80mph, handles well and is fun to ride. And more importantly than that, it’s capable of being ridden for 70 miles at a decent pace before needing to be recharged. That’s twice the range of last year’s model — and it makes the S-bike and its dual-purpose cousin, the DS, the first electric roadsters to be practical bikes, at least for some riders. The trouble is – there’s still one big problem with the Zeros: their price of £11,795 is over double that of comparable petrol-engined bikes. Even with petrol prices soaring and a full recharge (which takes nine hours) costing less than £1.50, most riders would never save the difference between a Zero and a conventional bike with similar performance. This latest S-model is Zero’s closest yet to a genuine roadster but the firm’s dirt-bike origins still show. Although the unchanged aluminium frame holds suspension with reduced travel, the Taiwanese units give a generous 140mm up front and 149mm rear. Wheels are now cast 17-inchers, and the front brake disc is enlarged to 310mm in diameter. With its tall seat and slim lines the Zero looks sporty and almost normal. But after I’d turned the ignition key there was no starter button to press, and no clutch or gearlever. Instead a green light on the dash came on to show the bike was ready to roll. Given a twist of throttle it shot forward, less sharply than before because Zero have modified the response following reports of a few riders giving a blip without realising the silent bike was ready to go. 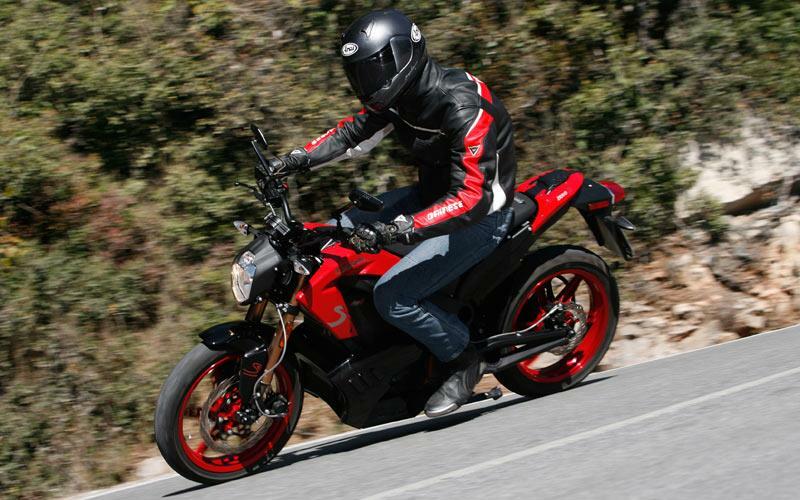 On the open road the Zero was quick enough to be fun, especially with its lively performance from about 50mph. I never had to think about how fast I was going or about changing gear. The S-bike was always ready with a burst of smooth acceleration, and put an indicated 80mph on its small digital speedo on a short straight, with little more to come. Handling was pretty good too; stable in a straight line and effortless in turns. Steering geometry is steep, and in slow bends the S-bike felt slightly nervous, partly due to its suspension travel. Hopefully one day Zero will produce a purpose-built streetbike with roadster geometry, shorter springs and lower seat. Read the full test in the all-new MCN, out now.